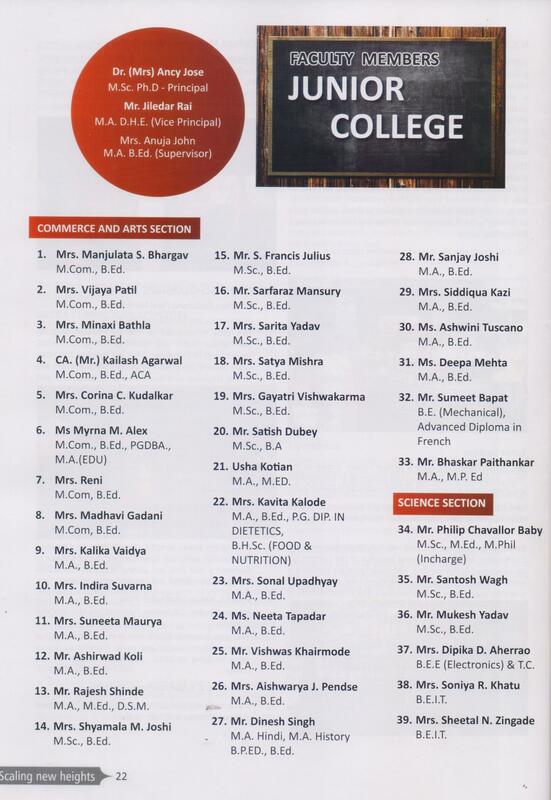 Our College has been selected as Lead College of the University of Mumbai. The College will have the leading role in representing handful of adjacent Colleges in the western suburbs of Mumbai. The announcement was made by Mr. Hande (Head, BUCD, University of Mumbai) when he was in our College in one of the programmes. This was also confirmed by Dr. Madhu Nair (Dean, Faculuty of Commerce, University of Mumbai) when he was addressing the gathering in the recently held National Conference organised by our College. Already, our Principal is visiting the colleges to support the Lead College objectives. The very responsibility as a Lead College will turn successful by having mutual policies and excahnge of resurces among the participating colleges of our Cluster.